Loss Adjusters work for your insurance company, (and their fee is paid by your insurance company) leaving little doubt whose best interests they serve. Working on a claim is a team effort, and Balcombes have the best team in the industry. We are the longest established firm of Insurance Loss Assessors in Ireland (estd.1971). Regulated by the Central Bank, our experience guarantees that we can help you, no matter the situation. If you have suffered damage to your property and are looking for a Loss Assessor to help you with your claim, you have come to the right place. Contact our team of Loss Assessors on Freephone 1800 506 700. Balcombes have a nationwide team of loss assessors based in our head office in Dublin. We are ready to work for you to ensure you get the best advice, speedy compilation and submission of claim details, and the most favourable outcome. Our network of loss assessors provide a professional loss assessing service throughout Ireland. Our loss assessors are there to assess the damage to your property and and ensure a successful outcome for you. Experience, expertise and professional knowledge. 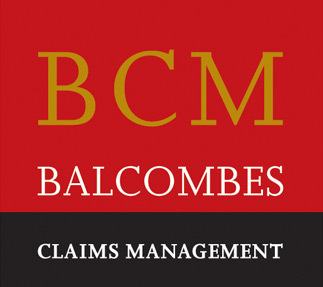 Balcombes have been handling Insurance Claims on behalf of property owners for over 40 years. No one else has the same level of expertise in handling all types of claims. Our conscientious approach and consistently exceptional results has led to clients continually recommending our services. Our team of Loss Assessors excel in written and verbal communication. Speedy submission of claim details ensures a quicker resolution to your claim. Most of our business comes from recommendations from satisfied clients. Our professional attitude means we are highly respected by insurers, loss adjusters and brokers. No other Loss Assessors in Ireland have as many testimonials from satisfied clients as Balcombes (ask us for details). If you want to work with a Loss Assessor with a track record of success, please call us and we will meet you in person for a no obligation review of your claim and how we can help you. Contact our team of loss assessors on Freephone 1800 506 700.